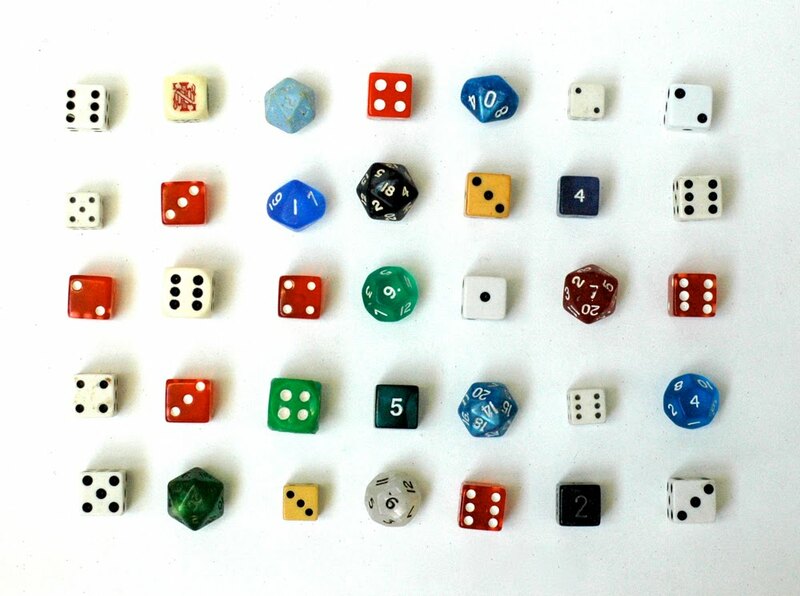 Weird, I collect dice too, actually, I collect many of the items you post. But you curate yours and give me new inspiration everyday. This is one of my favorites!! Colorful and fun!! Oh yes...until they fill 4 rubbermaid containers you're are safe. After that you will be considered a complete geek..like me. This one made my mouth water, they look like lollies. what will you come up, how will you display it. The dice jumped out at me. I love every collection and have quite a bit of desk paraphernalia. I *love* dice, too......my favorite are my purple ones. Ricky Jay has a great book on dice that might interest you.